BATDIG – the Paper Version! Mr Snail-of-Happiness’ first novel will be available in paper format in the next couple of days! We have celebrated with homemade strawberry shortcake and a nice cup of tea – we know how to live the high life here chez snail! 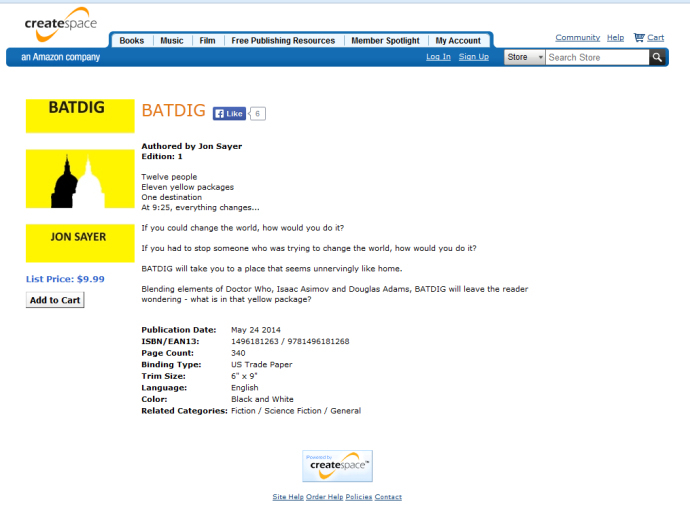 At last, a copy of BATDIG you can safely read in the bath*! Both parts of the novel first published for the Kindle together in one predominantly papery place** plus some Author’s Ramblings about the creation of the story and a short excerpt from my next novel, Kirkenes Blue, which I guess I really must finish now. BATDIG will be available on Amazon in the next 3 to 5 days ( so around the end of May then) but is also available from CreateSpace themselves, although only for American readers (at https://www.createspace.com/4705967). ** I think there is a bit of cardboard in there too. Congratulations! May the brain-child thrive! I do hope so… it’s been a long gestation!